There really was nothing better than the millennials’ glory-days, aka the 1990s. From ’90s fashion to the ’90s TV shows that nobody can get over, it truly was a blessed decade. And for every ’90s kid who wishes their childhood toys could somehow be a part of their adult lives, the fashion gods have smiled upon you. 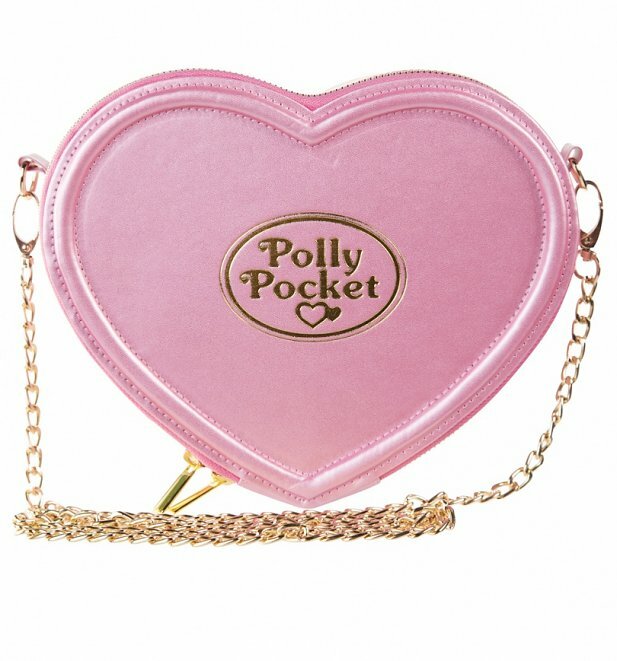 Now you can get a Polly Pocket purse that looks like your childhood! The perfect, pint-size purses come courtesy of Truffle Shuffle, a U.K.-based brand that sells clothes and accessories based on the characters we loved as kids. They have everything from Barbie wallets to Rainbow Brite tote bags and they also have what is officially the coolest Polly Pocket purse ever. Having an adult-sized Polly Pocket case that we can take everywhere and use for adult things is a ’90s dream come true! Long live Polly Pockets and that feeling of wonder you got as a kid each time you opened up one of the houses. Even though the Polly Pocket cross-body bag is a bit pricey (it’s about $49 USD), it’s a totally valuable purchase for that ’90s kid in all of us.